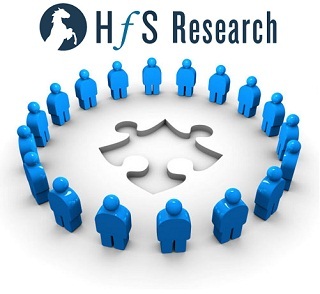 HfS Research announces its inaugural research advisory board! We're delighted to (finally) unveil our very first research advisory board! Now in our third year of operations, we - at HfS - have tried to differentiate ourselves in the research analyst community by providing practical insight, guidance and coaching based on real business experience, to compliment our analysts' strategic vision for the future of global enterprise operations. The undisputed leading industry voice and thought leader in Human Resources technology. Also authors her blog "In Full Bloom". Known as the matriarch of HR. Globally respected voice in the IT services, BPO and shared services strategy. Helped found HfS in 2010. A world leading scientist and has co-founded three biotech companies. He was knighted in 2003 for his work on protein science. Yes - he is Phil's Dad. Respected private equity leader in the technology enabled services industry. Developed his reputation as COO of Everest Group, during its rise to prominence. The software industry's most widely recognized analyst and author of leading enterprise software blog "A Software Insider's Point of View". The most pervasive man in technology. Full bios of the HfS Research Advisory Board can be viewed here.